Serenbe... a lifestyle of green living, urbanization, and upscale homes! 2018 brings the modern lifestyle of “Urbanization”. But what if you want to enjoy the open fields of a wild flower field, or biking miles of paths interwoven through woodlands and hamlets all the while of having that ‘urban feel’? Is this an option??? This type of setting is more rare than a blue moon! There IS a place situated a convenient 20 minutes from the Atlanta Airport where families and empty nesters can live a healthy lifestyle combining both nature and an urban feel of intown living. It is called SERENBE! Serenbe was created from Steve Nygren’s vision based on English villages (click English Villages for home sample) merging with the natural landscaping. The example of the English home is a listing by Sandra Storrar who is a resident of Serenbe. The hamlets are interconnected through a network of footpaths, and country roads. Environmental sustainability is a core value in both construction and the community conscience. 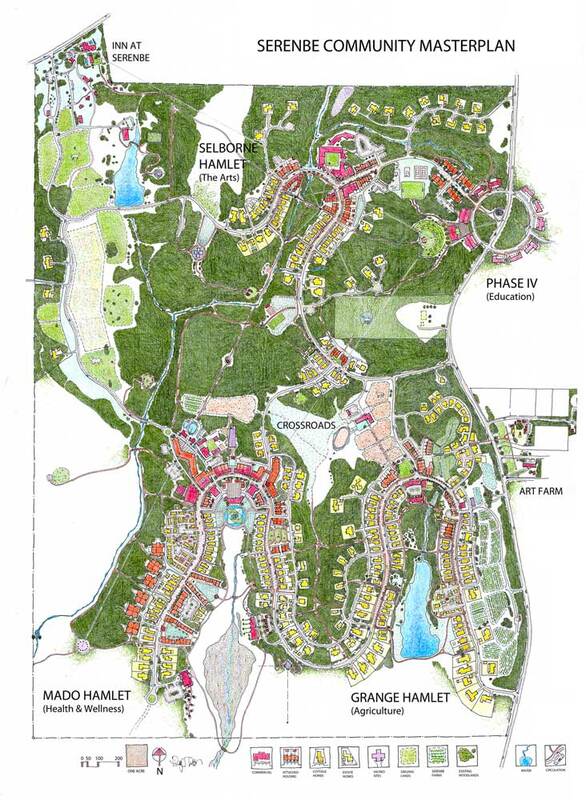 Four elements of urbanization are a major role in the Serenbe culture; Education, Wellness, Arts & Nourishment. With a 25 acre organic farm seasonal vegetables and fruits are always available. Open air markets, yoga studios, trail riding, boutiques and fine dining are all available to enjoy. A new medical facility is in the works as is a new amenities center. Live music and theater productions from Serenbe Playhouse are always on the calendar throughout the year. We took our grandchildren to see Robin Hood last fall. Our 3 year old was awestruck as Robin Hood flew from tree to tree and then won a sword fight battle w/ the villains!